Hive Power blockchain project based on Ethereum is designed for local power producers and their consumers. company is going to create “hives”: low-voltage networks uniting energy market participants and controlled by the Hive Power decentralized platform. Company representatives have already agreed upon a pilot project on designing first “hives” in Switzerland. 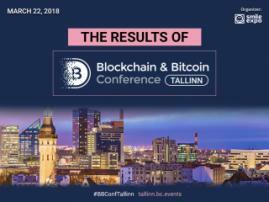 In an interview with Blockchain & Bitcoin Conference Tallinn, the Hive Power team talked about project technical aspects and the process of launching first pilots. 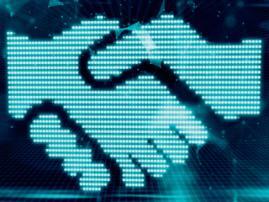 BCT: Your project will bring together manufacturers and energy consumers. Manufacturers of which products will participate? H.P. : The main component of our platform is the Ethereum smart meter, a device that can tokenize energy production and consumption. In the pilot projects we will retrofit the existing smart meters adding a computing unit capable to run an Ethereum node, in the meanwhile we will collaborate with smart meter manufacturers to develop their next generation smart meter, which will be for sure blockchain ready. Our platform is open access, to connect also other management systems, so also battery, inverters and EV charger manufacturers could collaborate. BCT: The core of Hive Power is the concept of "hives" or communities of manufacturers and energy consumers united by an electrical grid and blockchain. Will you tell more about their structure: the number of users; is the system fully autonomous; what is the voltage and volumes of imparted energy? H.P. : As first step, the platform will operate only at low voltage level, including residential and commercial buildings. The Hive Power concept is really scalable, the coordination algorithm allows to have a large numbers of prosumers connected in the same grid, so the number of them can vary from few ones to thousands without scale issues. The aggregation of the energy balance is performed by a single user, called Queen, that today is represented by a single computer, but in the near future will be distributed between Workers. BCT: Which countries do you target today, and what types of administrative areas (towns, suburbs, villages, farms) is the project designed for? H.P. : Our pilots will start from Switzerland and Germany, where energy communities are already happening, mainly in villages where a reasonable decentralized production is already installed. BCT: Your website mentions some pilot projects. Will you provide more information about them (location, terms, participants)? H.P. : The first pilot project will be in the Italian Switzerland, involving a set of 20 single houses, with some of them equipped with solar power on their own rooftop. In addition there is a kindergarten with solar plant and a central battery that will serve the whole district as a single user. The second one is part of the SCCER-FURIES, the biggest demonstrator in Switzerland, that focuses on different technologies to accomplish the Swiss national energy strategy for 2050. In this case we will have access to 50 houses, most of them equipped with solar power and heat pumps (that can be operated from remote to optimize the overall energy profile and the grid quality). BCT: You have chosen Ethereum blockchain for Hive Power platform. Why? H.P. : We have chosen Ethereum because it allows us to implement smart contracts in a safe and efficient way. Behind it there is a vibrant community of developers who are already tackling the problems that affect the network today. The most important ones are scalability and transaction costs. Two strategies are proposed to deal with these problems: sharding and "layer 2" protocols such as side chains (e.g. plasma) and off-chain transaction systems (e.g. raiden or liquidity.network). Another important problem is the high energy consumption of the transactions. In the Ethereum roadmap, it is already planned to shift from the current proof-of-work mechanism to a proof-of-stake one, which will drastically reduce the energy requirements of the network. Do you want to discover more about future power grids? 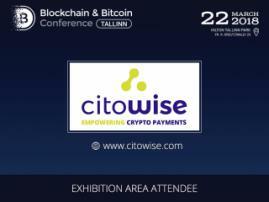 Attend Hive Power’s stand in the exhibition area at Blockchain & Bitcoin Conference Tallinn!